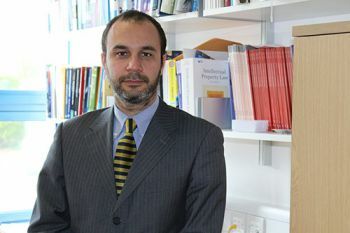 Senior Lecturer in The City Law School, Dr Enrico Bonadio, examines the way the famous toy maker has locked in the iconic status of its mini-figures. Lego bricks and figures are iconic toys that keep millions of children (and a fair few adults) around the world entertained. Their commercial success worldwide has triggered many attempts by competitors to imitate their designs and essential characteristics. Some of these attempts have been in compliance with intellectual property rules, and accordingly, courts have correctly rejected Lego’s legal moves to stop such “legal” imitations. But others have not been so lucky. Lego has won its latest trademark battle after an EU court recently ruled that its mini-figures should continue to be classed as protected shapes. The decision followed an attempt by Best-Lock, a Lancashire-based toy manufacturer, to appeal against the trademark protection to allow it to produce similar products, along with the lego-compatible toys it already produces. So are the little figures distinctive enough to warrant protecting? Shapes of products can be registered as trademarks, provided they are distinctive and therefore enable consumers to recognise the trade origin of the good. The typical example is the Coca-Cola bottle: its shape has been registered as a three-dimensional trademark by the Atlanta-based giant. 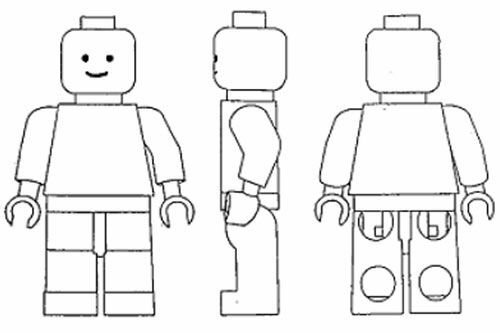 Lego registered its figures as a three-dimensional trademark in 2000. Even when products are distinctive, however, they may be denied trademark protection if the shape itself is also deemed to serve a technical function. This is to protect competition. It ensures that companies cannot use trademark law in order to perpetually monopolise technical solutions (trademark registration can be renewed every ten years, potentially for ever) and therefore block technological progress. For this reason, Lego was denied the trademarking of its eight-studded brick back in 2010. 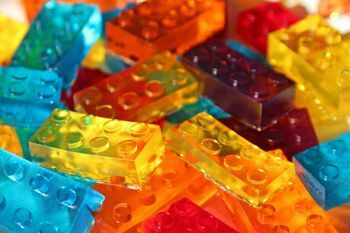 After years of legal action, the EU’s top judicial body upheld a challenge by Canadian toymaker Mega Brands who argued that a trademark on the the Lego brick would prevent competitors (including their Mega Bloks bricks) from manufacturing and selling a basic technical building shape. The court agreed. They therefore serve – Best-Lock argued – a technical function. And they do so because of the mobility of the figures and because the holes under the figures’ feet enabled them to be connected to other Lego bricks. This is why these technical features had been protected by a patent filed by Lego in the 1970s, which has now expired. The aim of Lego’s competitor was clear. They tried to have Lego’s trademark registration cancelled in order to be able to produce and sell themselves replicas of the men and women figures and thus erode the dominant position held by Lego in the toy market. Yet, Best-Lock’s arguments failed to convince the court. This time, the judges found that the key elements of the shape of the Lego figures – the head, body, arms and legs – do not actually involve the ability to join them to other building blocks. They therefore serve no technical function. Instead they are designed mainly to confer human traits on those figures – their function is aesthetic and fully distinctive. This means they can be protected by a trademark registration, according to the court. A patent gives an inventor the right for a limited period to stop others from making, using or selling an invention without the permission of the inventor. In return for the disclosure of his invention the inventor is given a short term monopoly in the use of it for a period of 20 years after which time it passes into the public domain. The basic purpose of the patent system is to encourage innovation and the improvement of industrial techniques. Patents are generally intended to cover products or processes that possess or contain new functional or technical aspects; patents are therefore concerned with how things work, what they do, how they do it, what they are made of or how they are made.